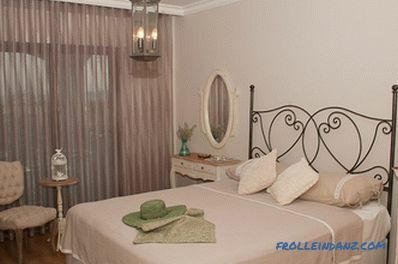 Romantic and charming Provence from France is one of the most gentle country styles. This is just a haven for subtly sensitive natures. 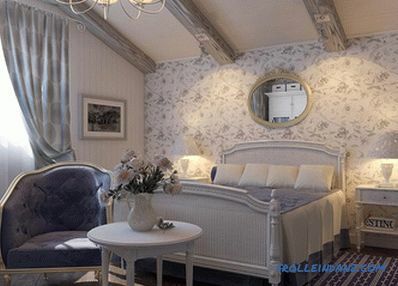 With the help of pastel colors, elegant fabrics, exquisite wooden furniture, floral prints, vintage accessories and porcelain knick-knacks in the interior of your bedroom, you can recreate the atmosphere of southern France, thanks to which this room will become the embodiment of your dreams. 1. Bright colors and eye-catching contrasts are excluded. 2. 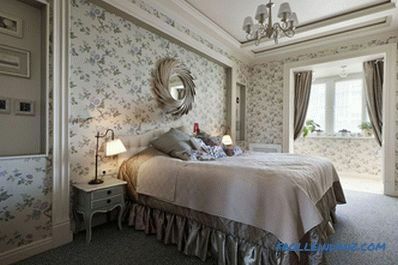 The main element of the bedroom is a comfortable and large double bed. 3. An essential attribute of the Provencal bedroom is the bedside tables, which play the role of both functional and decorative elements. 4. All furniture should be elegant. 6. 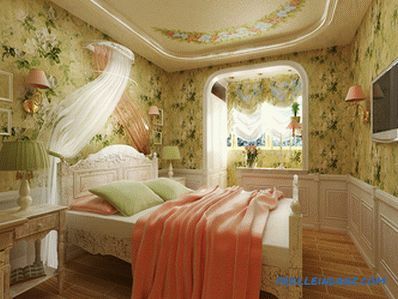 The walls of the bedroom are decorated with wallpaper with an elegant pattern. The combination of floral patterns and green shades. Typical for Provence "cell" and on wallpaper, and on textiles. 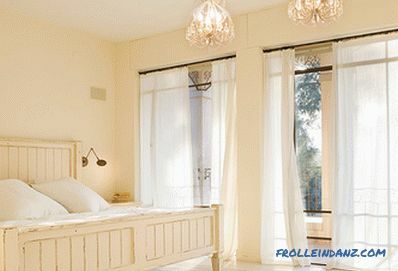 The main thing for a Provence bedroom is fresh and light colors. Sunny color (as well as light) here, too, should be quite a few. And nothing ascetic or, on the contrary, excessively luxurious - only warmth and comfort. The bedroom is in blue. The atmosphere of simplicity and charm of the Provencal style is formed primarily with the help of its characteristic pastel shades. The whole color palette seemed to be copied from the French landscape - olive trees and lavender, azure sea and blue sky, golden sand. 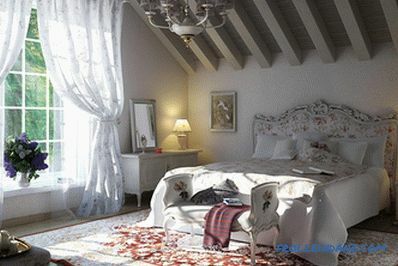 Provencal bedroom in coffee shades. Do not be afraid to combine different delicate and warm colors, but remember that sharp contrasts are not welcome here. Choose watercolor colors that blend into each other in the interior, like paints on a canvas. Lavender in the Provencal bedroom. Furniture and decorative objects playing the role of color accents. Tip: A good option would be to add color accents to the white room, the role of which is played by furniture and various accessories. 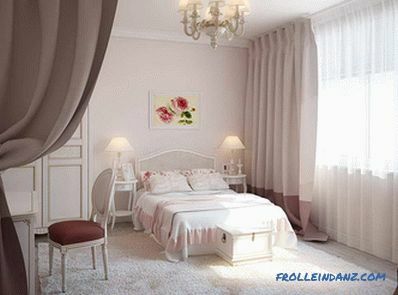 But there is an alternative: rich decoration of walls and furniture, and then adding white. Warm colors are most characteristic of Provence. 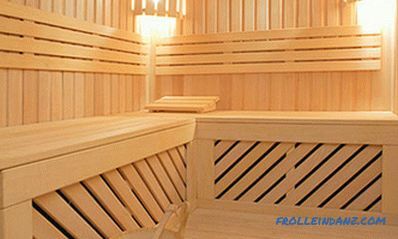 In Provence, as, indeed, in any other country-style, preference is given to natural finishing materials. For example, a parquet made of white oak or its high-quality imitation in the form of a laminated floor will be appropriate for the floor. The floor in this bedroom is made of natural wood. You can lay a small carpet on the floor. It is necessary to create comfort, but at the same time it should not attract too much attention to itself, because the main violin in this stylish sonata belongs to all the walls and textiles. Bed under a cozy canopy. 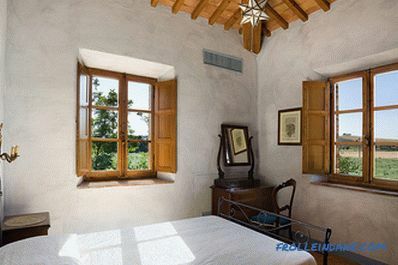 Walls in Provencal bedrooms are not made smooth. To give them the texture, as a rule, they use decorative plaster (or ordinary, but deliberately negligently applied) or textured wallpaper with floral patterns. An appropriate addition here will serve as pictures of pastoral subjects. The walls in this bedroom are finished with white painted wooden planks. Ceiling. 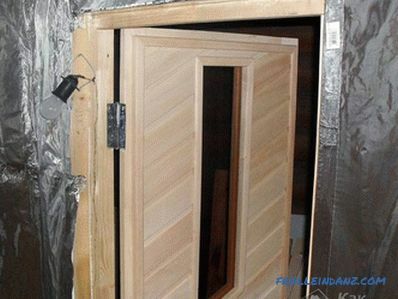 Wooden or plastered, always white. 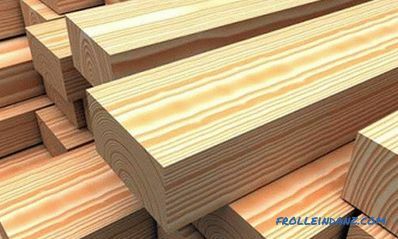 Large wooden beams of dark or light wood. Ceiling lighting is performed without too much gloss and chic, because these massive wooden beams are the main decoration of the ceiling. Walls. Gypsum plaster is used to create a more accurate image when finishing the walls, as well as wall coverings styled as brick or masonry.Paint them in cool shades of white or pastel colors to give the room elegance and bring it closer to the look of old French rural houses or castles. Floor covering. Ceramic terracotta tiles are used as floor coverings in houses designed in Provence style, which are easy to clean and perfectly keep you cool on a hot summer day. Ideal floors - from the rough or polished stone. Wooden ceiling with massive beams in the attic bedroom. 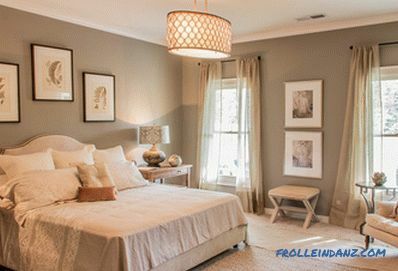 Pastel-gray shades in the interior of the bedroom in the style of Provence. It will not be superfluous to think about whether the bedroom style will correspond to the general theme of the house, or it will become a kind of artistic “island” created for the rest of not only the body, but also the soul. The most important thing in creating Provence style is to fill the room with a stream of light. This will visually expand the space. Natural light, especially in the morning, easily penetrates the room through the "filter" window frames and thin translucent curtains with a lace pattern. The intensity of the sunlight can be adjusted using curtains, wooden blinds or shutters. The light in the room should be not just a lot, but a lot. Wooden shutters, which can also be located on the inside of the window, will create comfort in the room on a hot day. 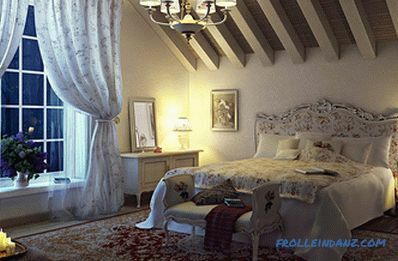 The main attribute of a bedroom in the style of French Provence is a bed. The shape of it should be quite simple, but at the same time the carved ornament on the wooden headboard will not be superfluous here. Often in the Provencal bedrooms you can see beds with patterned forged backs. And the most important decoration of this piece of furniture will be textiles - a small canopy, boudoir pads in embroidered pillowcases, bed linen with floral motifs and lace inserts for even greater airiness. The print on the wallpaper repeats the pattern of the curtains. Another indispensable attribute of the bedroom is the bedside table. It is located nightlight and many "necessary" trinkets. In general, the amount of furniture in the bedroom depends on its size, but each element should look like a thing with history. It can be a sideboard with bent legs for storing the most spectacular things, a grandmother's chest (instead of the usual dresser), a wicker rocking chair. 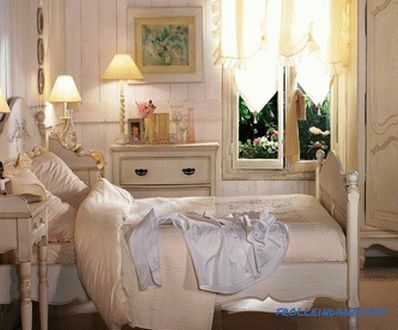 Furniture in the interior of the bedroom in the style of Provence. 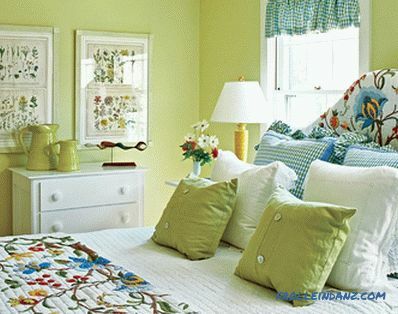 Floral motifs and green shades are a great combination for a Provence style bedroom design. The main advantage of furniture in Provence style is the texture of natural wood with its characteristic pattern and calm shades. Impressive facade surfaces are created with the help of modern technologies of artificial aging - applying patina and craquelure, special creation of scratches and chips. All the magnificence of this vintage will certainly be coated with wax or paint to make the surface matte. Stylish furniture in a stylish bedroom. The aesthetics of Provence-style furniture is provided by carved, elegantly curved and wicker elements. But while there is nothing deliberately luxurious, delicate openwork, with perfect proportions. Metal elements, faded from time to time, covered with a layer of patina or "antique" gold are approved. Elegantly curved legs of the bedside table. Furniture upholstery also plays a huge role in creating a romantic atmosphere. Furniture and decorative fabric, muslin or chintz, decorated with stripes, vignettes, floral patterns, form this space filled with elegance. With a similar finish, even a modern furniture set can be turned into a spectacular Provence. Chests and cabinets and with many drawers. 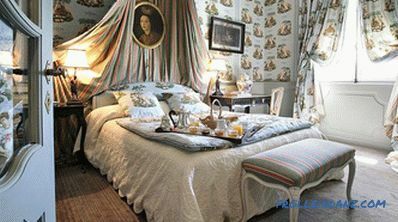 Textiles in Provencal bedrooms abound with floral patterns, giving the impression that the garden, which was outside the window a moment ago, has moved into your room. 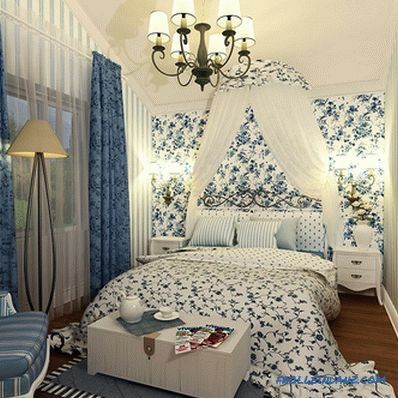 Bedding sets in this style are flawless floral motifs, lace, ruffles and frills. Floral motifs of various shades. 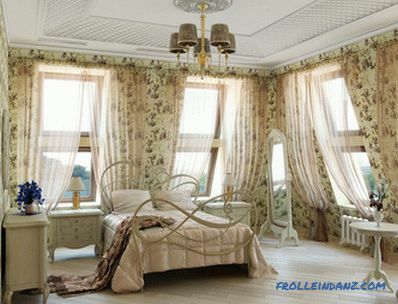 The curtains should be long, made from traditional floral print fabrics. The ideal option would be curtains of coarse linen or calico. You can take a monophonic canvas and decorate it with a braid or hand embroidery, or buy a finished fabric with a floral pattern. You can also choose a olive fabric in a cage or strip, but these are rarely used for making curtains in the bedroom, this is the exception rather than the rule. Imitation of a canopy over the bed. Special attention is paid to the lightness of curtains and the abundance of frills on them.And do not forget about lace and decorative ribbons! The main thing is the decor, and the fabric itself should be as simple as possible - even the use of burlap with a rough texture is allowed. 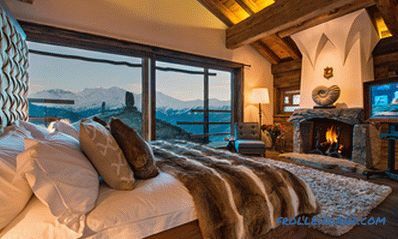 Yes, and cornices are better to choose the most simple, made of wrought iron or wood. Textiles in the Provencal interior. 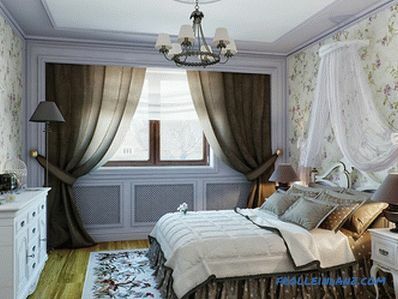 In the Provence style, the bedspreads made using the patchwork technique (only fabrics should be soft) or canvases decorated with hand embroidery with floral motifs look great. Handicrafts fit well in the interior - embroidered or knitted capes, napkins, tablecloths, colorful homespun rugs. vintage ornaments placed directly on the wall. Elegant knick-knacks and other decorative accessories. Flowers will certainly refresh the interior of the room, even if they are artificial. A bedroom in Provence style is unthinkable without lovely baubles. Obligatory bedroom belonging in the spirit of the French provinces - flowers. They can be everywhere - on curtains and wallpaper in the form of prints, bouquets in vases, roses blooming in tubs, murals, garlands, wreaths and other compositions of artificial flowers. There should be a lot of accessories, different in color and shape (but acceptable within the framework of this style), because they give the room individuality and originality, make it more warm and cozy. 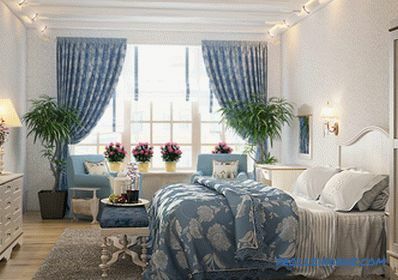 Provencal bedroom will benefit from an abundance of similar decorative elements. However, the rules of harmonious combination has not been canceled, especially when it comes to a small room. Decorative panel above the bed. But you shouldn’t turn your bedroom into a warehouse of antiques. The necessary atmosphere can be created with the help of a minimum of things - properly selected curtains, mirrors in an elegant forged frame, lamps with a fabric shade. The right choice of accessories is already half the battle in creating a provencal atmosphere. Curtains, pillows, blankets, beautiful bedding, the color of which matches the palette of provencal style, will help to achieve the desired effect. A special place in the interior of the bedroom is given to mirrors. It is great if they are framed in antique frames. Paintings depicting landscapes and still lifes, family photographs within the framework will complete the created composition and create an atmosphere of light coquetry, inherent in the Provence style. 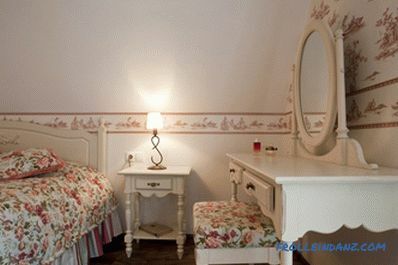 The most common decorative elements in Provencal bedrooms are ceramic vases with bouquets of dried or fresh flowers. 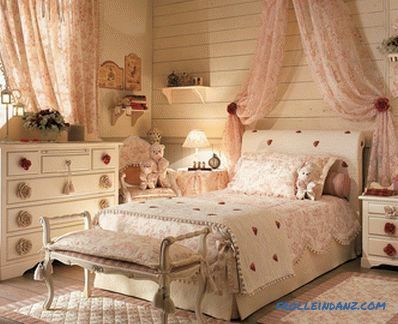 Very little effort on your part, and now your bedroom has turned into a paradise full of sun, warmth and comfort. It will always remain a romantic island of peace, harmony and unity with nature, even if your house is located in the middle of a big and bustling city.